Life is busy, hectic, chaotic – these are the words I’ve found myself repeatedly typing in emails, this week, to friends, colleagues and fellow bloggers (albeit the latter with a shared understanding and sense of camaraderie). I’ve only myself to blame. 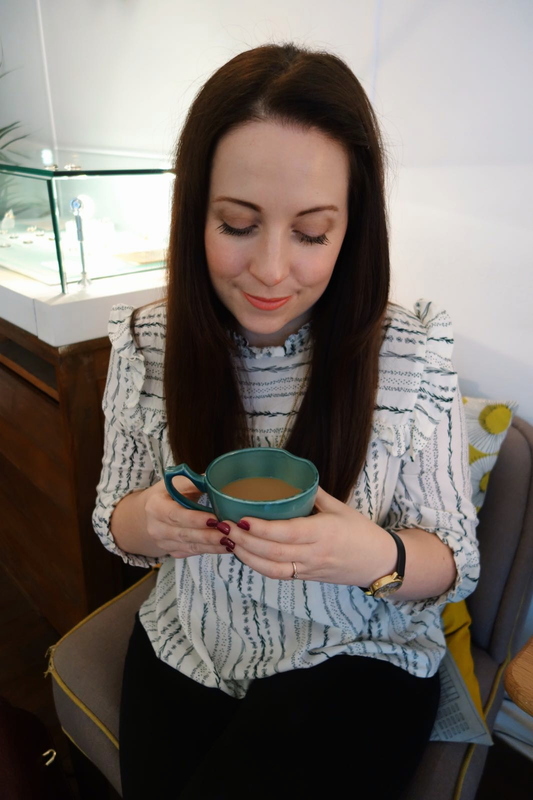 This autumn, I decided to throw myself back into blogging and with it, Manchester blogger events. Combined with work commitments, it’s been utter madness! I’m learning to embrace it and to simply, go with the flow – life will catch up, eventually. Tin Man. This week, I finally finished reading Tin Man by Sarah Winman and how I wish I could read it afresh. As I closed the book, I felt saddened that the protagonists of the story had lived their lives loving each other, but unable to be together. Novelist, Matt Haig, perfectly describes the book as ‘dripping with tenderness.’ I’m hoping to read, ‘When God was a Rabbit’ next, when my library reservation arrives. Have you read either? Zest of Alice. In particular, her post entitled ‘Establishing Relationships and Expectations with Brands‘ from blogger and fellow digital marketer, Alice Fairweather. Waiting for my 6.10am train to depart from Manchester Piccadilly, I stumbled on Alice’s post via twitter and, working in a similar field, I was interested to read Alice’s view. I nodded along in agreement: establishing relationships is about being polite and showing a genuine interest in a brand. Cabaret at The Lowry Theatre. John and I have recently discovered a shared interest in theatre, so when we were offered the opportunity to watch Cabaret, we knew it would make the perfect date night. Neither of us were aware of the plot line and we were intrigued to discover the show is set in the heyday of pre-war Berlin. Will Young shines in his role as the flamboyant Emcee and is curious to watch. Cabaret is funny and poignant, in equal measures. Knuckle Puck. You know how excited I’ve been for their upcoming tour? Well, it’s been cancelled! In mourning for what could have been, I’ve sorrowfully listened to home-made films of their previous live shows over on YouTube. The crunch of leaves. Arriving at London’s Euston Station, late afternoon, last week, we decided to walk the thirty minutes to The Strand. Dusk was falling and as we were to be in London for less than 24 hours, I bought a roasted hazelnut latte and stomped through the leaves enjoying the last remnants of autumn. Bodycon. For the first time in my life, I bought a bodycon dress to wear for the #LOTD x Louise Thompson launch at STK, in London. After seeing the collection, I knew the event was to be a glamorous affair and with the help of a friend, chose this black midi dress from River Island. Since losing weight, I’m trying to wear different styles but I still can’t quit dark eyeliner flicks teamed with red lips. Joanie Clothing. Oh. My. Life. 40% off? I’ve lost count of the times I’ve worn Dina Dinosaur since my trip to Sheffield and after seeing the collection up close at their Christmas event, I couldn’t say no to bagging my favourite pieces from this season at almost half price. Investment pieces. To make my point, I wore last season’s tartan Clara dress to a wine tasting evening last night. Still love it. I’m looking forward to a quiet weekend! I’ll be spending time in Liverpool, mainly to help a friend with her Gothic jewellery stall at the Winter Arts Market which takes place in Liverpool’s Anglican Cathedral, and also to visit The White Closet to continue my hunt for the perfect wedding dress.